Had this phone for four years, it has been great. Battery still last for days. Just ordered a Mate SE, hope it is as good a phone. May be the best phone I've ever owned. 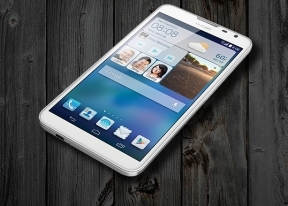 I have had the phone for a couple years now and love it with its big screen but why would I ever buy another Huawei when they don't offer any updates for this phone? Makes me aprehensive on buying another Huawei which I probably will never do cuz of the software upgrade is not available. Some of my apps have stopped working because the OS is old. How's does it stand up to LG's G3? I have an Assend Mate2. I am 54 yrs. old and have small business (detail residential cleaning). My Huawei is one of the best tools I have. I have never had a phone that is more user friendly. Everything l need is on my home page. I can multitask so much easier than any other phone l have ever had. I can schedule appointments while talking to my clients in seconds. Conference calls are less complicated. I do not use my computer much anymore because l can use my phone for almost anything but a spreadsheet. I never used internet on previous phones because it pulled on battery usage and took to long to get what l was looking for. Now l use the phone because it is faster than the computer. I use Internet everyday and sometimes don't have to charge my phone for two days. Unbelievable, but true! I have even downloaded many apps and games, and does not pull from performance. The speaker is such wonderful tool when texting and making notes in my note pad. I love my mate 2. 4 1/2 stars l wish the camera was better. This phone is the value king. Using for 6 months. Getting 4 days on a charge (not heavy use, but plenty). Smooth, fast. Not super great with photos, but I'm very pleased with this phone. I think it’s better to give one line about my previous mobiles, to understand how I rate Huawei Ascend Mate 2 (HAM2) compared to other mobiles. Once Nokia has sold themselves to Microsoft, I was searching for a new mobile phone with good camera and battery life. I have listed down HTC Desire 816, Asus Zenfone 6 and Huawei Ascend Mate 2. As the HTC Desire 816 has higher price among these I had to select from Zenfone and Ascend Mate 2. Zenfone release was delayed and then I decided to buy HAM2. I am using HAM2 from August 20th and so far it’s really good experience. 1. Battery Life is awesome. I am getting almost 3 days (72 hours) with full time connectivity (Vodafone 2G and Wifi at home). I am not a big mobile game player and I am getting more than 10 hours screen on time in HAM2 in these 3 days and still 20% battery was remaining! 1. I bought this mobile by seeing 13 MP Sony Exmor is used in this. Expected good quality pics as in my Nokia N8. Unfortunately the images are not up to the mark always. I have tried almost all the good camera apps from Google Play Store. Pics taken in good day light is superb but the pics in less light is not at all good :–( Huawei, please fix this issue urgently. 2. The OS is Android 4.3 (Jellybean) and no one knows about ETA for Android 4.4 (Kitkat) update. It’s ok and we can manage it. But Google Camera will work only on Android 4.4. Either they should fix the camera to produce better images or should upgrade to Kitkat so that we can use Google Camera app. Note: Those who plan to buy it, Please read all single star reviews yourself and understand whether it is relevant. I really felt bad about seeing these 1 star reviews for such a good device. AnonD-289190, 31 Jul 2014The Oneplus One is the best phone that money can't buy. The Mate2 is AVAILABLE for $300... 1+... moreYOU will love it! I moved from a Note1 to the Mate2...it's a fantastic device! The Oneplus One is the best phone that money can't buy. The Mate2 is AVAILABLE for $300... 1+1 is not. Spend some time on the 1+1 website...it's pathetic. Begging for invites is not how most people want to buy a phone. This Mate2 is a robust phone for the average user at a good price. When it comes to attracting and keeping my attention and loyalty, Huawei is SOOO much wiser than 1+1. I am transitioning out of the Apple IOS, and it looks like the Mate2 will ease my transition into Android (never heard of a drawer before! ), and is a "crossover between IOS/Android, and ATT/T-Mobile. Very broad appeal. Is there an easy way to jailbreak this phone to KitKat? Rick, 17 Jul 2014Agree completely - Kitkat is a backwards step. Dont use it. Is this mobile only for the USA ... moreyou could get it in SE Asia but you are going to pay out the nose for that shipping and you can forget insuring that piece of tech. AnonD-275729, 16 Jul 2014"However, we can't help but frown at the look of Android Jelly Bean out of the box" ... moreI retired my galaxy note GT-N7000 for a Mate2. 4.3 is "new" to me since I stopped updating my note, at 4.1.2 because it was ROCK SOLID STABLE. The latest/greatest sometimes has more problems than an older OS. Just because it's new, doesn't make it better, just makes it new. 4.3 on this beast runs great. I've been using it almost a month now & i love it, too thoose whos complaining they should re think about the price, what do they expect from $300 ? For me i cant complain much from it. Reality Check, 15 Jul 2014Really? Jellybean outdated OS? Come on! Kitkat was the worst because of micro sd limitations!Agree completely - Kitkat is a backwards step. Dont use it. Is this mobile only for the USA or can you get it in SE Asia. "However, we can't help but frown at the look of Android Jelly Bean out of the box"
How can you frown upon that if you don't even see it! From an end-users point of view it's all the same. For them it's the apps that matter (what you can do with the device) not the OS underneath it. I sometimes wonder whether it's all worthwhile to have the latest and supposedly the greatest? A lot of apps need fixes for 4.4 while everything runs perfectly from 4.0 upto 4.3. I see a lot of people complain with their e.g. Galaxy S3 whom upgraded to a supposedly better 4.3 while it ran perfectly with that 4.1.2. IMHO Google should tone down a bit with their pushy upgrade policy. Give manufacturers the time to upgrae their entire portfolio (or at least as much of it as possible) before moving forwards again! And Google ought to STOP enforcing their UI changes (like Apple and Microsoft does)! These chinese seem to comprehend it and use THEMES if people prefer an older less flat style. I personally hate these flat styles. If I want grey gradients and flat text then I might as well run RISCOS 2 or Windows 3 again. Why do these GPU's have smoke, texture mapping, light-effects and whatelse if we not gonna use them. Not to mention that mimicking real life colours and visuals makes it easier to understand. that is not any better that older is better..
Really? Jellybean outdated OS? Come on! Kitkat was the worst because of micro sd limitations! AnonD-207267, 14 Jul 2014You might want to try it before you poo-poo the "only" 720p. If you hold the phone ... moreWhile I agree with this statement in general, I've found a very good reason to choose a high DPI screen. Reading webpages and ebooks without zooming in is more possible in high DPI screens because the characters are more recognizable, but then that only applies if your eyes is capable of recognizing small characters. On the other hand you can just zoom in, if you don't find it tedious.